Grease, whether from car door lubricant or household cooking oils or fats, can stain cotton fabric. Without proper stain removal techniques, grease stains can set on cotton fabric, making them permanent and ruining the item or garment. Always care for cotton fabric items according to the care label, but weigh the chance of ruining the item with your stain removal technique with how ruined it will be if the grease stain remains. 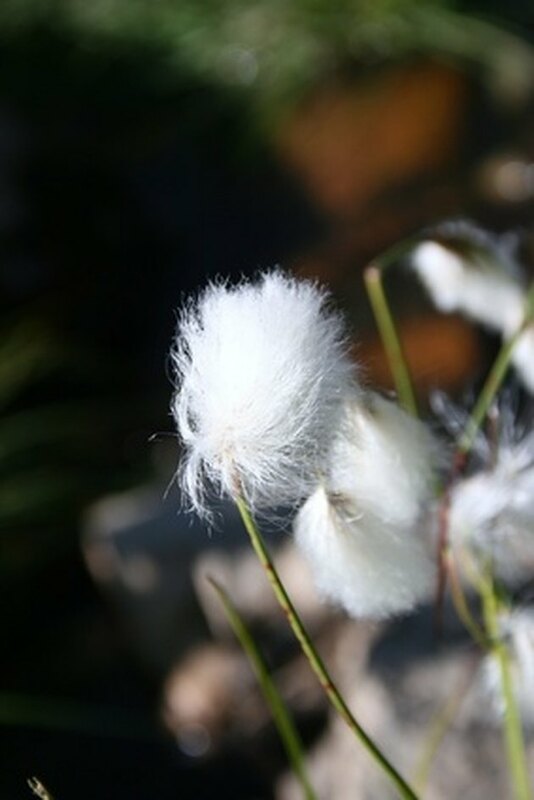 The cotton flower produces fibers for cotton fabric. Dab or blot any excess grease that remains on the stain. Don't rub the stain since it could work the grease more deeply into the cotton fabric. Apply heavy-duty liquid detergent to the grease stain. If you are using powder detergent, mix two parts detergent with one part water until it creates a paste about the consistency of gravy. Apply the paste to the stain. Work the detergent into the stain using a clean discarded toothbrush. Apply light pressure in a circular motion so that you penetrate the stain without damaging the fibers of the fabric. Launder the item if possible in the hottest water safely listed on its care label. If it's not possible to launder the item, such as a couch cushion, allow the detergent to sit for up to 10 minutes. Apply water and lather the stain. Apply warm or hot water, if safe for the item, using a towel or washrag. Rinse the towel or washrag clean frequently to apply new clean water until the detergent is gone. Check the stain when you pull it out of the washer. Do not dry the item if the stain remains. Repeat the stain removal technique if necessary. On items that can't be laundered, draw most of the water out by pressing on the item with a dry towel. When it's mostly dry, check the stain and repeat the stain removal technique if necessary.